Single-screen HD video (1920 x 1080) 40 min videoloop no sound. 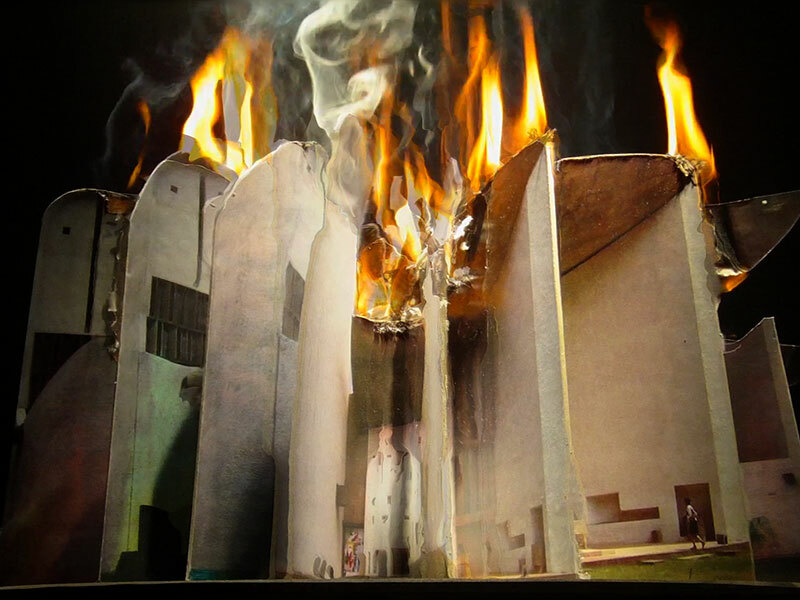 The extremely slow combustion of utopian models; a symbolic image and an aesthetic experience: the ineffable beauty of destruction and transience. 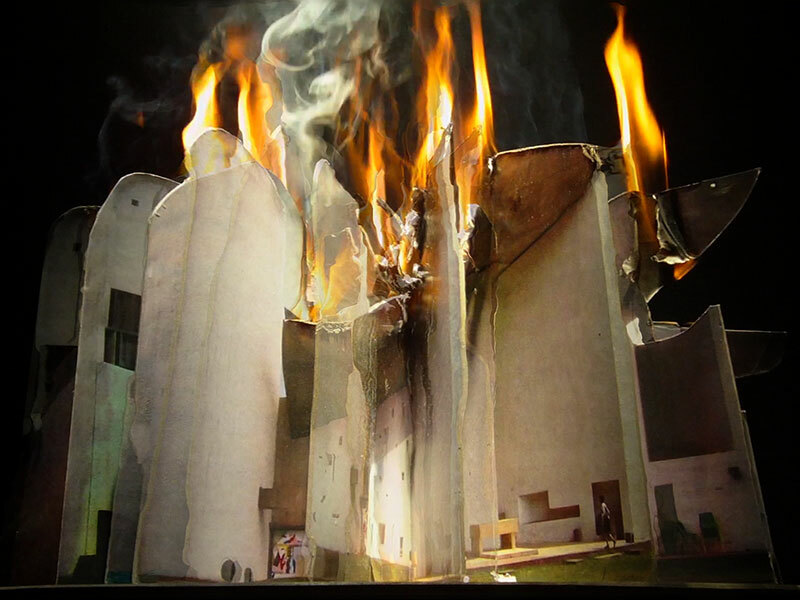 The chapel of Notre Dame du Haut in Ronchamp gone up in flames. Chapelle Notre-Dame-du-Haut de Ronchamp, is one of the finest examples of the architecture of Le Corbusier. The sculptural qualities of le Corbusier’s architectural wonder are translated into a continuous looping time based piece. 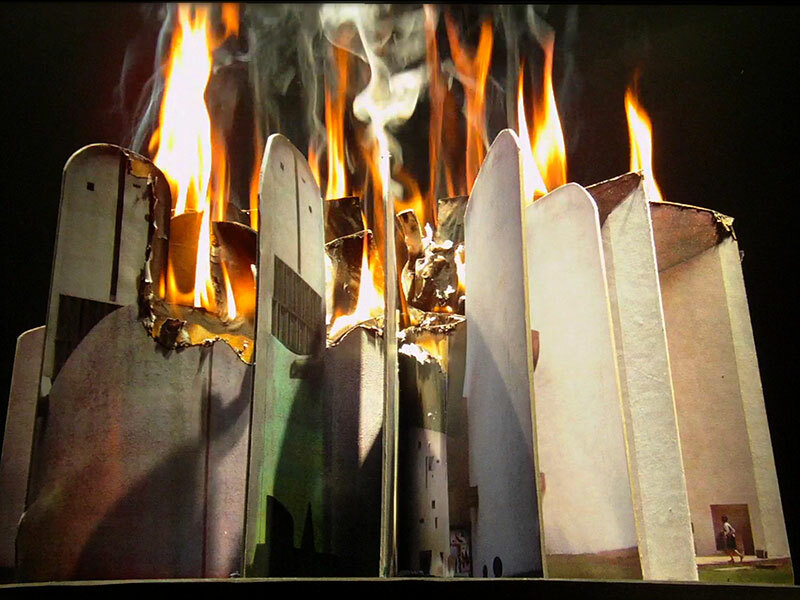 A burning cut out paper model hints at transitoriness and instability of even the ‘most modern’ of cultural icons.